The Oregon Department of Motor Vehicles issues two Oregon license plates to registered vehicles which are attached to front and back bumper of each vehicle. For mopeds, campers, motorcycles, and some other vehicles, only one license plate is issued and only one license plate must be displayed on the vehicle. Oregon license plates cannot not be covered or altered by any material that changes the appearance of the license plate. This includes license plate holders and frames, which should not prevent the letters, numbers, or stickers from being read. There are also plates, like the Veteran, higher education, non-profit plates, and the service-related ones that are available as well. Fees for Oregon license plates are based on the vehicle type and choice of license plate. 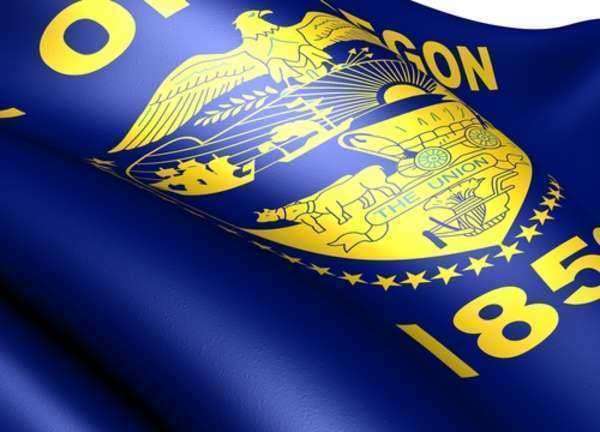 The standard Oregon license plates cost $5 for a set of two. However, there are usually additional fees for different causes. You can also purchase personalized Oregon license plates, or vanity plates for vehicles. In order to do so, you must complete the Application for Registration, Renewal, Replacement or Transfer or Plates and/or Stickers as well as the Custom Plate Application and submit both to DMV with the appropriate fees. This includes the standard $25 registration fee for a year or $50 for two years and the $5 fee for two Oregon license plates or $3 for one plate. Your personalization must have between 1 and 6 characters plus one extra hyphen or space. Each character block may have a number, letter, hyphen, or you can leave spaces blank. However, you cannot have special characters or punctuation or obscenity. You also cannot personalize a specialty plate.